Off The Record Entertainment has issued clarification for the participation of Miyawaki Sakura and Yabuki Nako in HKT48 concert. Right after the announcement from IZ*ONE's agency about the participation of Miyawaki Sakura and Yabuki Nako in HKT48's eighth Anniversary Concert, fans worldwide have expressed their displeasure and strong opposition against the Japanese girls' participation in the show. On December 2, HKT48 announced details of their upcoming HKT48 concert at Tokyo Dome City Hall. 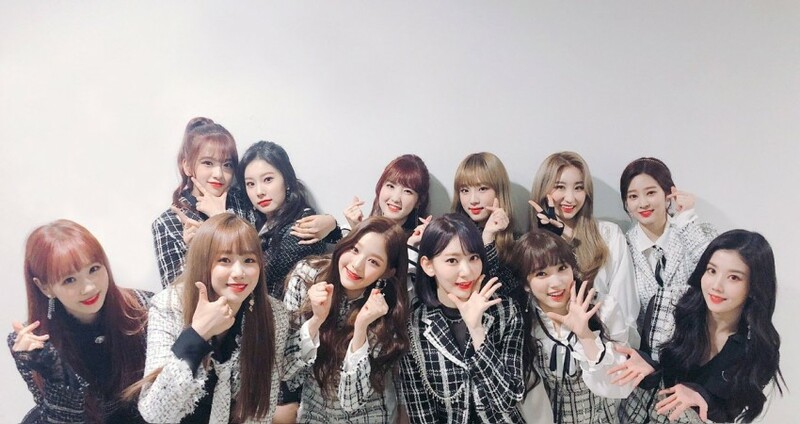 Since news of the Japanese singers' participation was confirmed, fans of IZ*ONE have strongly opposed it. Fans feel that the two members' participation goes against the musicians' promise to not have overlapping promotions. It is worth noting that when Sakura, Nako and Honda Hitomi were selected as members of the idol group, they promised to focus on IZ*ONE's promotions only. Off The Record Entertainment has responded to this opposition saying, "This concert is being held in celebration if HKT48's 8th anniversary. Miyawaki Sakura and Yabuki Nako, who have become full-time IZ*ONE members, will be participating as IZ*ONE members to congratulate this. "This does not mean they are overlapping HKT48 activities, and the member's participation in some stages was decided to congratulate HKT48's anniversary. As announced previously, the three members will not participate in activities as AKB members during the full-time promotion period and full-time continue IZ*ONE group activities as members of IZ*ONE during the full-time promotion period." Off The Record concluded their statement apologising for any displeasure caused to fans and requested their generous love and support for IZ*ONE members. In spite of the elaborate clarification from the agency, fans are not happy with this decision and have taken to social media to express their disagreement.